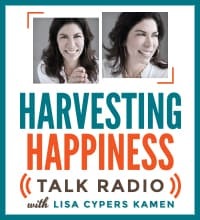 Lisa Cypers Kamen is an internationally recognized filmmaker, positive psychology coach, author, host of Harvesting Happiness Talk Radio and lecturer specializing in the fields of authentic happiness, sustainable wellbeing and conscious living. Lisa’s acclaimed documentary film co-produced with her young daughter, Kayla, “H-Factor…Where is your heart?” explores how people in varied circumstances find, generate and share happiness. 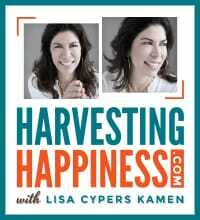 In addition to her film on happiness, Lisa has also published a number of articles and books such as, Got Happiness Now?, Are We Happy Yet?, Leadership: Helping Others to Succeed and Reintegration Strategies, about combat trauma and using positive psychology principles to create wellness in a post-war new normal. Lisa is the former health and wellness editor of Sleep and Wellness Magazine and her written work is also featured on blogs for the Huffington Post, PositivelyPositive.com and InspireMeToday.com. 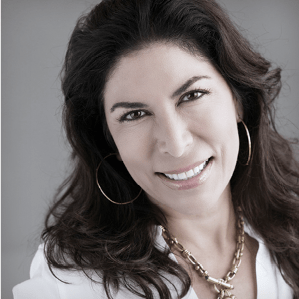 She is the producer of TEDxMalibu as well as a TEDx community event speaker. In addition, Lisa is the Happiness Expert for the Florida Department of Citrus/ Florida Orange Juice in its Take on the Day campaign and a brand ambassador and pioneer for Katie K Active Wear’s #DefineBrave campaign. Harvesting Happiness for Heroes™ is a 501(c)(3) nonprofit corporation that delivers stigma-free integrated combat trauma recovery services to warriors and their loved ones. Modalities include scientifically proven strengths based Positive Psychology coaching and interdisciplinary tools such as film, yoga, meditation, art and creative writing designed to mindfully empower the client to achieve increased self-mastery, self-esteem and reclaim her/his life. HH4Heroes focuses on the balance of mind, body and emotion resulting in greater overall wellbeing and the transformation of Post-Traumatic Stress (PTS) into Post-Traumatic Growth (PTG). HH4Heroes offers retreat workshops, one-on- one coaching, Battle Buddy programs, as well as our new R.E.B.O.O.T Online virtual community coaching classrooms designed to reach underserved areas. In addition, HH4Heroes deploys Return to Duty™ civilian and corporate training to help welcome a warrior home and into the community and workplace.